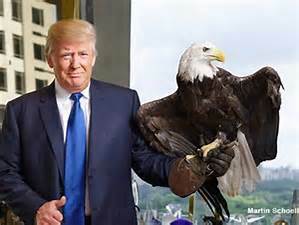 During a Time Magazine photoshoot, a bald-eagle named Uncle Sam went after Donald Trump. Did this hallowed symbol of freedom sense a threat to our country's principles? Or was it just the hair? And this is the 'hero" who would have stormed into the building to save the day. Poor guy got an owie from Uncle Sam.